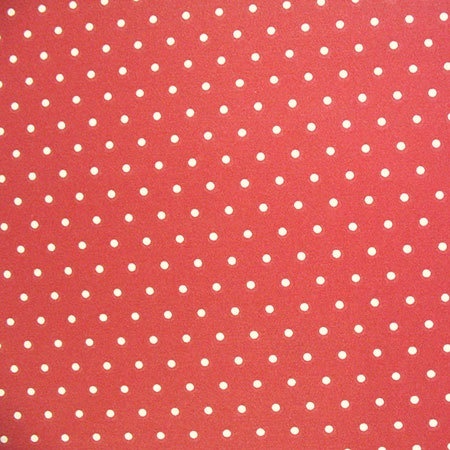 A rich red background with small spots. The enduit has a fabric-like feel to it. Pattern repeat is 2.5cm. The spots themselves are cream and approximately 4mm wide.